Recent press reports worldwide have again highlighted the benefits of omega 3 fish oils for a healthier heart, brain and joints, following studies as far afield as America, Australia and Denmark. Long-chain omega 3 fatty acids are important structural components of cell membranes and are found in oily fish, such as salmon, herring, anchovies, tuna and mackerel, and the livers of white fish like cod. Yet with stringent fishing quotas limiting the amount of cod being caught globally, this restriction in supply inevitably means that fewer cod livers are available for processing into cod liver oil, one of the nation's most popular nutritional supplements with annual sales worth £44.6 million. 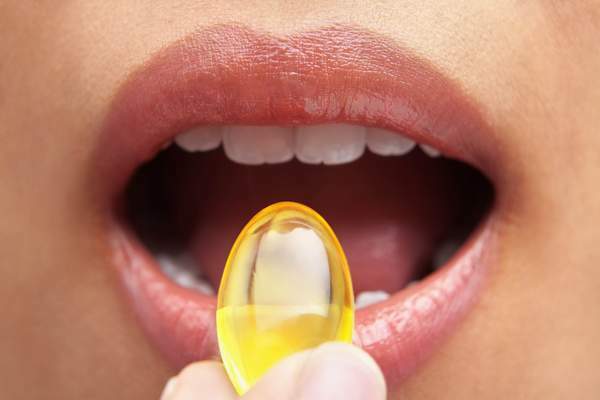 This has prompted Principle Healthcare of Skipton, one of Europe's leading producers of vitamins, minerals and supplements, to call for consumers and stockists to turn their attention to alternative omega 3 fish oils, so as to help preserve fish stocks for future generations. "High profile media campaigns like Hugh Fearnley-Whittingstall's 'Fish Fight' on Channel 4 have drawn attention to dwindling cod stocks and helped boost the popularity of sustainable fish like coley, dab and pollock," says Principle Healthcare's Fiona Wiseman. "On the back of that public awareness, we now have the opportunity to promote alternative fish oil supplements, which provide even greater health benefits than cod liver oil, but are based on fish from sustainable stocks." Itself a major commercial buyer of cod liver oil, Principle Healthcare commissioned a consumer study to determine public acceptance of alternative fish oil supplements, produced from whole oil-rich fish, and found that consumers would switch once the health benefits were fully explained. The research also concluded that most people were unaware that cod liver oil was actually derived from the livers. With strict quotas on cod fishing and fish oil refineries increasingly turning to more lucrative markets in Eastern Europe, where cod livers are eaten as a delicacy, long term price increases are inevitable, according to Principle. Sustainability is less of an issue for alternative fish oils, with the majority of supplies coming from well-managed fisheries that adhere to international codes, so the continued availability of affordable supplements is assured. Fish oils of either type contain two omega 3 fatty acids, EPA and DHA, which are widely regarded as offering many benefits to cardio-vascular health, mental and cognitive development, and the normal immune function, as well as helping relieve the inflammatory pain associated with osteoarthritis. However, studies show that 2 in 3 adults fail to eat the two portions of fish a week recommended by the Food Standards Agency, so supplementation is considered a safe and effective way of boosting omega 3 fatty acid intake. Cod liver oil actually tends to have less concentrated amounts of omega 3 fatty acids than is found in alternative fish oils, typically containing 700-900mg of EPA/DHA per 5ml, compared with 1000-2000mg for other types. Moreover, the fatty acid profile of cod liver oil tends to fluctuate with the seasons and recent falls in EPA/DHA levels have been linked to climate change, rising sea temperatures and modern fishing policies. On the other hand, oils derived from fatty fish like salmon, sardines and anchovies have inherently higher and more consistent EPA/DHA levels. Although cod livers are also a rich, natural source of vitamins A and D, which are essential for bone growth, the immune system and reproductive formation, these are often removed in the deodorising stage of cod liver oil processing, then later replaced with natural and synthetic vitamins. Alternative fish oils do not naturally contain these vitamins, but they could be supplemented in a similar process. In a research study, undertaken by Leatherhead Food Research, the most common reason for taking cod liver oil is for joint lubrication and that most people had been taking it for long periods of time, some up to 25 years, with capsules by far the most popular format. Few in the study group were knowledgeable about EPA/DHA and it was shown that there was very limited understanding of omega 3 fish oil and its benefits, although on learning more about the product, most would consider switching if cod liver oil were no longer affordable.